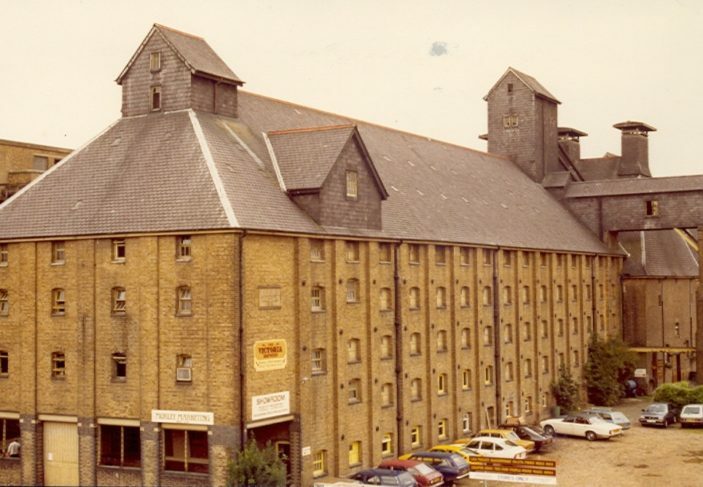 In the 18th century, Ware was the premier malting town in England, specialising in brown malt for the brewing of a beer known as `porter’. 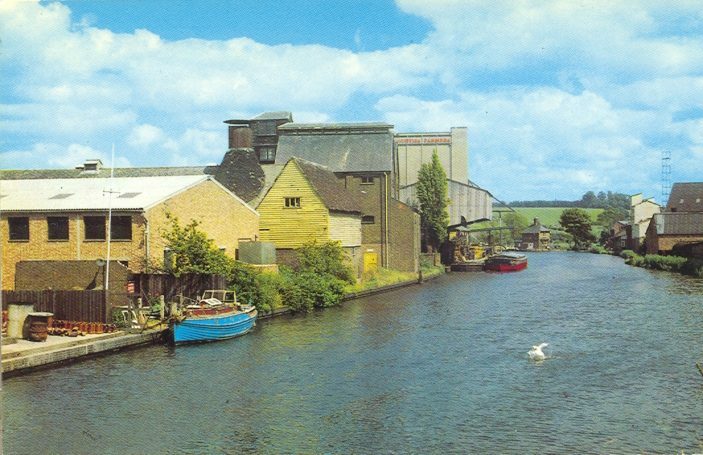 Fortunes were made (and lost) in the malting industry and men were drawn to the town to work in the maltings or on the barges which took the malt to the breweries of London. Every spare piece of land was pressed into use and there were as many as 140 malthouses in the town by 1880. 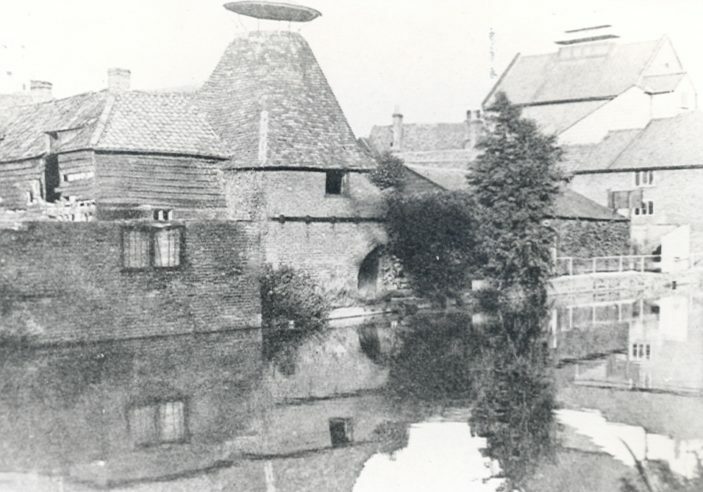 Maltmaking in Ware has now ended and the malthouses have been converted into housing or other uses. As boiler-types will know, this is a typing mistake; should have said ‘ Cochran ‘ boiler. We also worked at Pauls and Sanders ( Brian Smith ), Warecete ( Mr. Render ), Mill Studio ( Mr. Dixon ), Christ Church ( Mr. Ilott ), a tyre vulcaniser in Amwell ( Mr. Lawrence ), Rank Cintel ( Mr. Pinner ) and Stadium Helmets. Anyone with memories of some of these, please post them on here, to generate themes. The large concrete building at the far end, is I believe, Eastern Counties Farmers. We worked there servicing the vertical Cochram boiler. I do recall that the main building had a man-lift fitted. This was a somewhat worrying device. Whereby a constantly moving set of steps passed constantly through a hole in each floor. You simply got on and off where you needed to. I doubt if it would be acceptable today.